When potential clients are looking for an attorney, 21.9 percent start with a search engine, according to Lawyernomics. If your looking to capture that audience, having a solid online presence is essential. Local SEO is critical to capturing those online searchers into prospective legal clients. Here are four strategies that your firm can do to help increase your online presence. Digital Marketing for the legal industry is very competitive, so if you’re a new firm it’s very important to establish your firm as a brand and target market your immediate location. It’s also very important to set your expectations accordingly. You’re not going to come in and start ranking for ‘Chicago personal injury attorney’ right away. It could take years before you’re trying to ranking for such a highly competitive term. For quick success, its best to capture the traffic in your city. Keywords targeting more competitive regions should be part of your long-term plan, but it should be done after you’ve secured quality traffic prominent keyword rankings around your physical location. The second step for ranking locally is by getting your business “verified” in Google My Business, and other local directories. 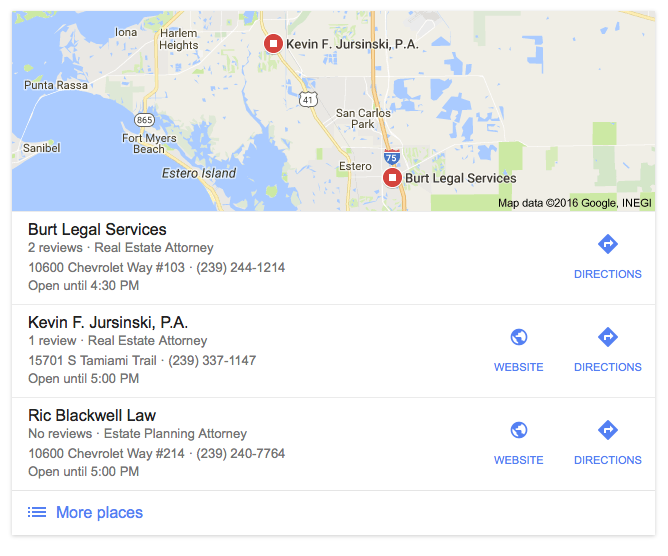 Having a local listing in Google My Business allows your law firm to appear prominently on the search engine result page (SERP), within Google Maps and in the Local directory listings. You will also want to rank in the maps for your immediate area. Getting into maps can be a major source of traffic. Optimize your local listings and gain inclusion in all of the major attorney directories on the Internet. The local citations you develop will help your listing rank more prominently and the most popular attorney directories online can be a valuable source of traffic. It’s important that law firms silo their websites according to practice areas. Devote content to your practice areas. People that are looking for attorneys are doing research, so the more quality information you can offer about your practice and experience, the higher your chances of ranking for various terms are. Directing local search traffic to your website is just the start. The end goal is converting your website visitors into clients, and that won’t occur unless your website is professional, impressive, and informative. Your website should be focused on capturing the audience who are searching for you. Who is searching for you? In addition to the 21.9 percent of people using a search engine when hunting for a law firm, Lawyernomics is reporting that there is also 55.7 percent of people referred to your firm by word of mouth. Following a word of mouth referral consumers typically visit a law firm’s website. If your site isn’t impressive or informative, you risk losing that potential client. 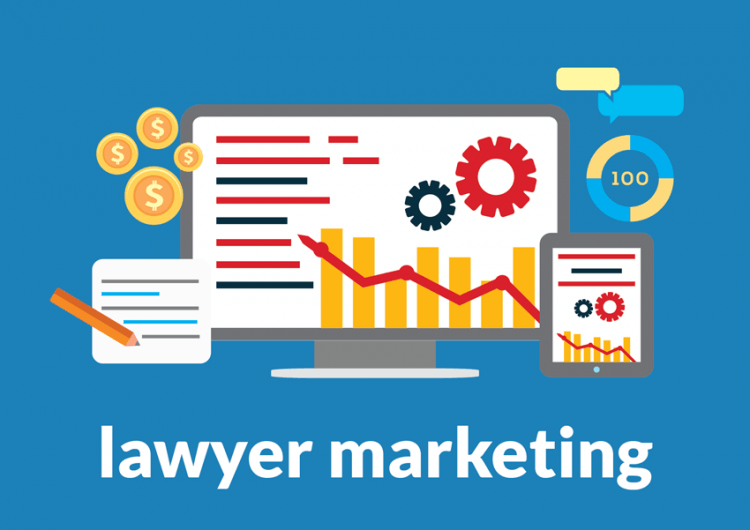 A solid digital marketing campaign can do wonders for your law firm but the focus of your website should be on conveying knowledge, experience, and trust. You want to make sure your website engages your visitors and compels them to contact you. What should a good law firm website include? Search Engines love resourceful websites. The more your audience reads, the longer they stay on your website and that will help increase your search engine ranking. By performing these steps, your law firm should start seeing some positive results. SEO is not easy and most of these strategies are on-going and need constant monitoring. I highly recommend contacting us so we can help your firm increase your search engine position and increase your conversions.